If you don’t want to make a whole apple pie, then make an apple pie in an apple. Watch this video. I was amazed at how easy it is to make. It’s kind of so crazy that it just might work, right? It’s going to naturally be healthier since you can control what goes in, and you’re not getting so much crust. You can find the official recipe here. Do you think it would work with pears? 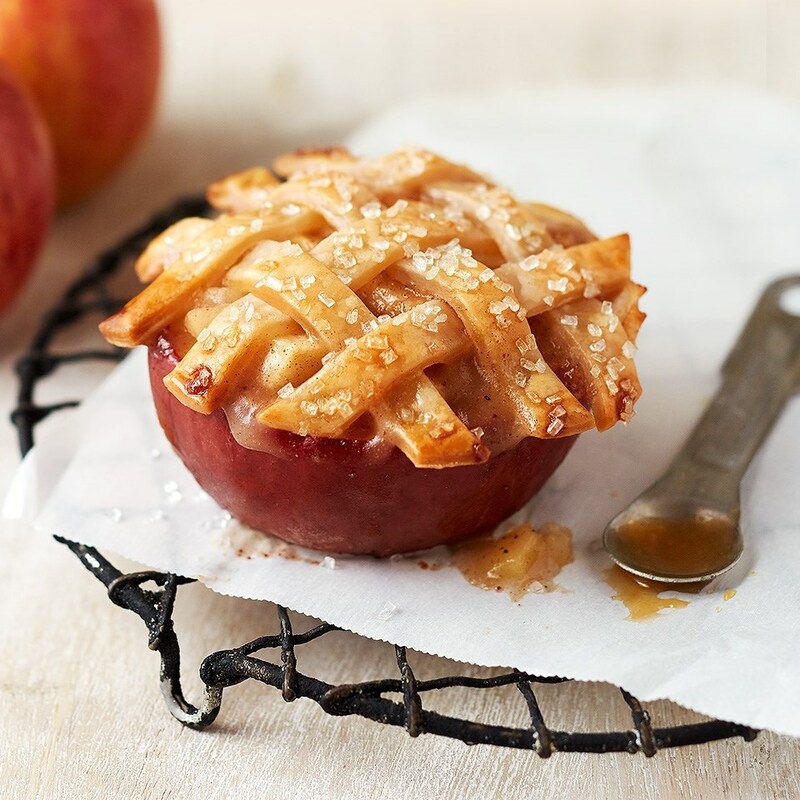 Of course, if you want to do it in the slow cooker, then just make baked apples. And you can poach apples or pears and put a little brown sugar on them for a decadent yet healthy dessert.